10/09/2014 · On a train to London · Swiss designer Karl Gerstner has been an inspiration to me since I was first introduced to his work by my colleague, Mark Boulton, a few years back. I may have learned about him in design school, but to be honest I was too into making stuff look cool for his ideas to take hold. 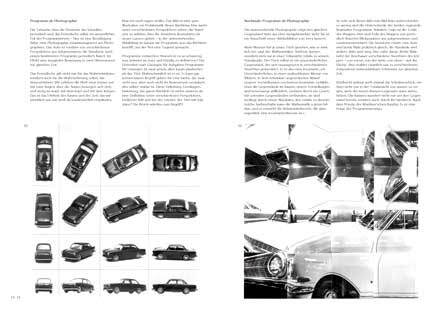 I was immediately compelled by Gerstner’s ambition to wrangle complex design systems into easily repeatable patterns; outing his design knowledge into grids, typography, or whatever else the solution needed. Design, to him, was not predicated on creative whim, but was found through hard work and strived for consistent success. I dig that. 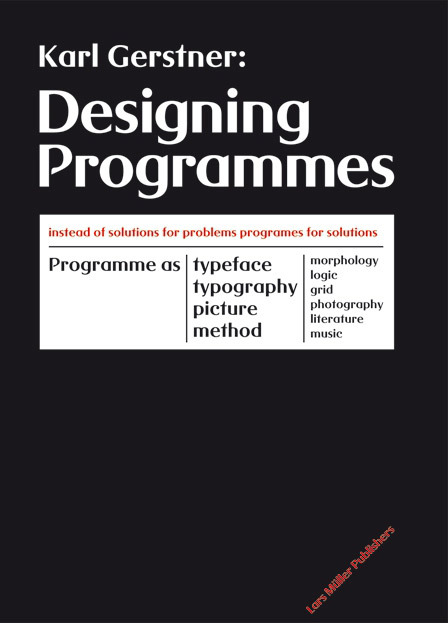 Gerstner contributed to our modern graphic vernacular in many ways, most notably with his design system for Capital magazine, but his 1964 book, Designing Programmes, gives the most explicit outline of his methodology. Unfortunately, as of this writing, the third and only extant edition, printed by Lars Müller Publishers in 2007, seems to have recently gone out of print. Fortunately, I happen to have a copy sitting right next to me. The 2007 edition adds a couple more prefaces, a few more examples, and an enjoyable case study on designing a new typeface for IBM (“A new beginning: the IBM original”). In fact this third edition is set entirely in kg privata, an evolution of the whacky little typeface Gerstner designed for IBM in the early 80s. The words contained within the now scarce pages are largely irrelevant without their accompanying imagery, so I still recommend grabbing a copy of the physical book if you can. But there are some true gems of copy-and-pastable wisdom scattered throughout, and I have spent a bit of time collecting them for you here. Personally, I was amazed by how many of his critiques transcend their times and context, for example: calling out the tendency towards grandiosity that must plague designers of all generations. “In the ’20s for instance it was claimed for the first time that the typographer should proceed from the data of his material, from the basic typographic elements; today it is hardly conceivable that he should not proceed from them. Note: In researching this post, I also found this site, which offers a PDF download of what appears to be an earlier edition of the book. Bad scans and possibly incomplete, but it offers a bit more context nontheless.